An invitation to join the Founder’s Club for the House of Illustration, a founding group raising money to build the UK’s only dedicated illustration museum, planned for a site in the new development behind Kings Cross. As the museum does not exist yet, the idea was that by joining the club you could help make it happen, hence the pop-up house. Anniversary posters and literature celebrating 25 years of Sihl + Eika, Switzerland’s largest paper merchant. A significant historical event from each year was displayed and constructed using their paper. 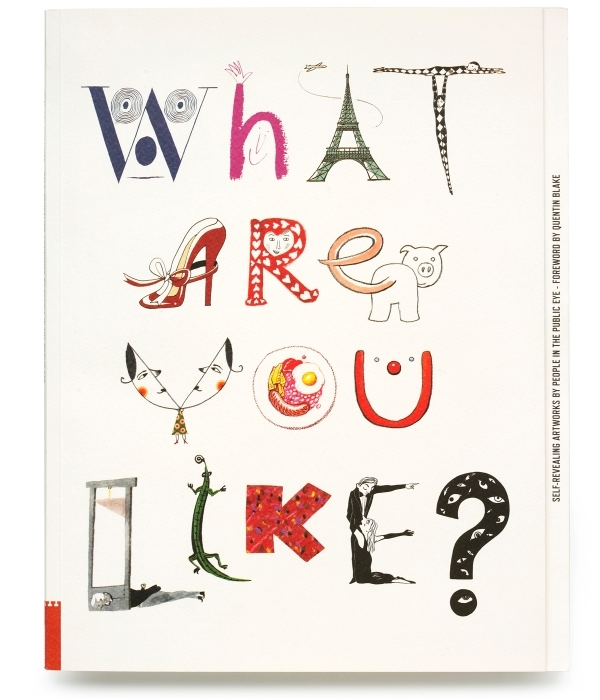 “What Are You Like” is a Victorian parlour game in which players are asked to describe themselves by drawing a series of pictures of their favourite things. The House of Illustration invited forty-five people to take part in their own version of the game. Each contributor also submitted an illustration of themselves as a letter of the alphabet, to make up the title identity for the show. This invitation and catalogue accompanied an exhibition at the Dulwich Picture Gallery and a number of other galleries nationwide.